Digestive health is Important for diabetics. Digestive health is important for diabetics because they need to be able to extract as many nutrients out of their food as possible because they can’t afford to eat that many wasted calories. 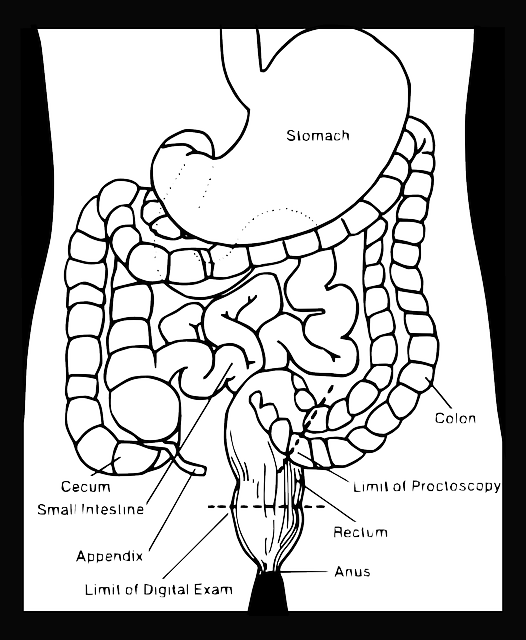 Our digestive tract is the largest organ in the human body and it performs many functions which make about optimum health and these include food digestion, nutrient absorption and the removal of waste and toxins if our digested system isn’t functioning properly we will probably have a compromised immune system and a sluggish metabolic system. If you got isn’t functioning well it’s pretty easy to do a couple of days of detox or a five day cleanse program. However, if you’re gut is not healthy you will not benefit from this. Whatever happens the first thing to achieve in digested health is a fully functioning gut. Conventional medicine does not always accept a leaky gut syndrome. Many patients have a horrible time with abdominal pains, cramps, bloating and constant acid reflux. Generally all the medical tests come back clear. If you can find a doctor who believes in leaky gut syndrome and is treated in the form of probiotics and other natural substances that got normally heals itself within 2 to 3 months. What is leaky gut syndrome?. We need to produce acid in our stomach to break down all our food. Not all food is as easy to digest for instance fruit and vegetables generally the stomach within an hour but pork can remain in the stomach for up to 36 hours. Processed food, fatty food fast foods, fizzy drinks alcohol and caffeine all require more stomach acids then easily digestible alkaline foods. When we produce more stomach acid to break these foods down the excess stomach acid has eroded the delicate lining of the gut. When this happens on digested food particles are not absorbed properly and not excreted correctly. They are actually absorbed into the body which thinks they are foreign particles so they are attacked with white blood cells to kill them and this further damages your intestinal tract. Eventually, this leads to pain bloating and heartburn as a physical symptom. A secondary think symptom is usually tiredness because you’re not absorbing all the nutrients from the food. Unfortunately, this is often accompanied by bloating and swelling and also weight gain. The usual treatment for a leaky gut is dietary supplements. Digested enzymes these are normally taken in capsule form with meals to help you digestive food by breaking down peptides, proteins, sugars, fats, lactose and carbohydrates. This is a spice commonly used in Indian and Sri Lankan food it is very soothing and warming to the gut and help stabilise blood sugars. It is often added to desserts or curries. It comes in powdered form and also dried and rolled up cinnamon bark which looks like a small cigar. This helps support the mucous lining in the gut it helps it to repair. This assists small intestine health. papaya is a tropical fruit which has a very potent enzyme that breaks down proteins so it is often used in Asian food to break down meats in a marinade. These enzymes support bowel function and they have a soothing effect on both the stomach and the digested tract. Garlic capsules contain allicin a sulphur compound it helps to balance the gut. the healthy gut has thousands of good bacteria which incredibly reduce a number of bacteria from our food by aiding the digestions and the absorption of nutrients when food and faecal matter works its way through the digestive system this process is called peristalsis. The probiotics protect the mucous membranes by stimulating the proteins in mucus that lubricate protect the inner delicate issue. By improving the balance of friendly bacteria in the genital areas, they reduce the chance of urinary or vaginal infections. In the bowels, these good bacteria produce essential vitamins B to build up the neurological system and help you feel energised. Unfortunately, this good bacteria can be easily reduced as a result of stress, smoking, poor diet, alcohol consumption, surgery, medications and also hormonal changes. When this happens a probiotic supplement is very helpful. In fact, these probiotics are considered so helpful that medical research is trying to develop probiotics to prevent dental cavities sore throats and nasal infections. Although probiotic supplements take many forms most people have heard of them being added to milk yoghurt or kefir products. because probiotics boost the immune system eating a large amount of natural probiotic foods generally means you have fewer colds and winter infections. The diabetics a daily multivitamin and a probiotic supplement has found to be very helpful in boosting overall health. Recent studies have shown that after taking probiotics for three months, even if you do get a cold the symptoms are very much milder than they would have been normally. Allergies studies have shown that probiotics help asthma sufferers by reducing the inflammatory response in the intestine. Lower levels of healthy gut flora have been said to be the principal reason allergies are more common these days. Probiotics encourage the growth of new healthy bacteria. Unfortunately, this isn’t a quick fix it situation it often takes about four months for patients to get any real relief. bad breath is generally caused by rotting teeth, poor digestion and unhealthy gums. The thousands of bacteria in the mouth is bad enough, but they can feed on the constant supply of food that follows it. It is estimated that only 2% of the population have high enough levels protected bacteria in their mouth. Adding live yoghurt to your diet reduces the risk of dental decay and the likelihood of mouth ulcers and other oral infections. a lot of people feel tired after eating partly because they eat too much food or they are asking their body to digestive many different types of food. For instance eating bread at lunchtime can put a strain on the digested system while eating a salad is very energising. Probiotics help you absorb nutrients which help you feel more energised. Probiotics also remove waste and toxins from the body these toxins if left in the body would starve cells of oxygen which in turn leads to pain and fatigue. Probiotics are cleansing and help eliminate wastes from the intestine which allows your body to extract more oxygen which in turn makes you feel more energised. In people with diabetes, gastroparesis may be caused by damage of the vagus nerve when blood sugar has been high for a period of years. Secretions of enzymes and acids from the stomach lining still occur, but they contribute to nausea and vomiting when the food hasn’t been crushed into small particles. Genetic Factors for type 2 diabetes.